PocketMod is a one-page, book fold format. It's a little tricky to work with at first, but the format is really pleasing for writing microgames. Here are some folding instructions and a couple of PocketMod games I made. 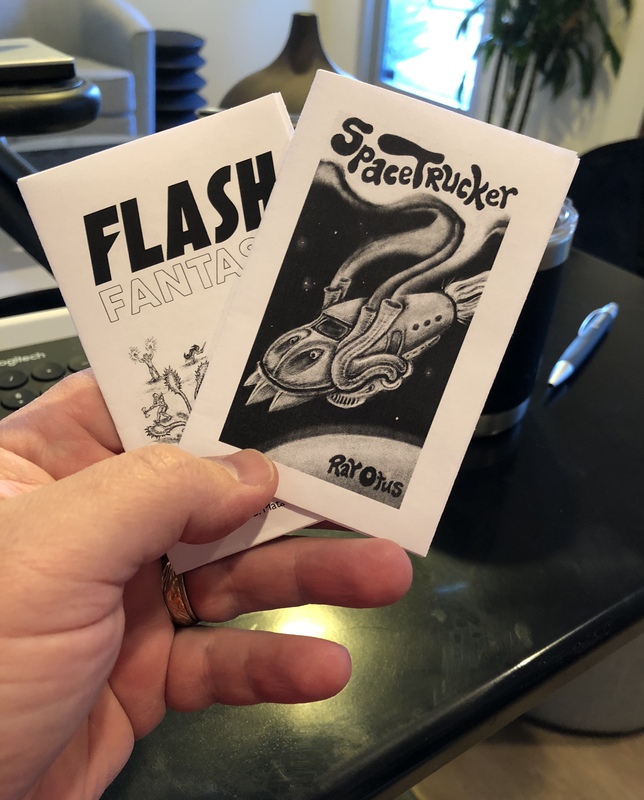 Space Trucker is inspired by 70s "trucker" stories/music - with a dash of Kung Fu, Space Opera, and Funk thrown in. The system is Minimal d6 by Norbert Matausch. The format was inspired by Sean Wills' Thronelands. This game is an expression of the Minimal d6 system, by Norbert G. Matausch, suitable for playing OSR modules. Or at least that was my goal; you can decide if I succeeded. 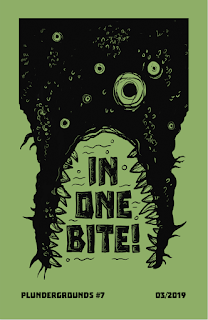 Space Trucker fan Greg Gelder created this cool supplement. It includes more characters, more trucks, more maniacs, more minions and monster, more planet names, and more missions! It also has a list of cool truck stops, a Galactic Citizen's Band radio jargon glossary, and a list of Swag/Style elements. Greg's purpose here is to expand on some of the promise of Space Trucker that didn't fit into the original PocketMod, specifically to add some funk, punk, disco, and hobo elements.